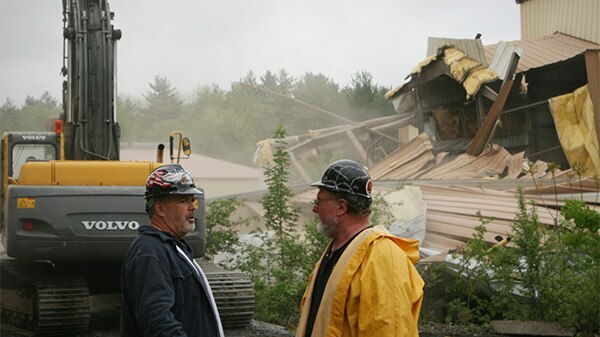 Brian, Lee and the rest of Danley Demolition are in Claremont, New Hampshire, to take down an part of a paper mill. It's a hotspot for partying teenagers, so the valuables could have been picked clean long ago. But Brian and Eric are surprised to find a Winnebago, several snowmobiles and a vintage voltage regulator. The mill also comes with a major liability—a towering smoke stack that must come down without hitting any of the surrounding buildings or the members of the Danley Demo crew.